KISSIMMEE, FL. 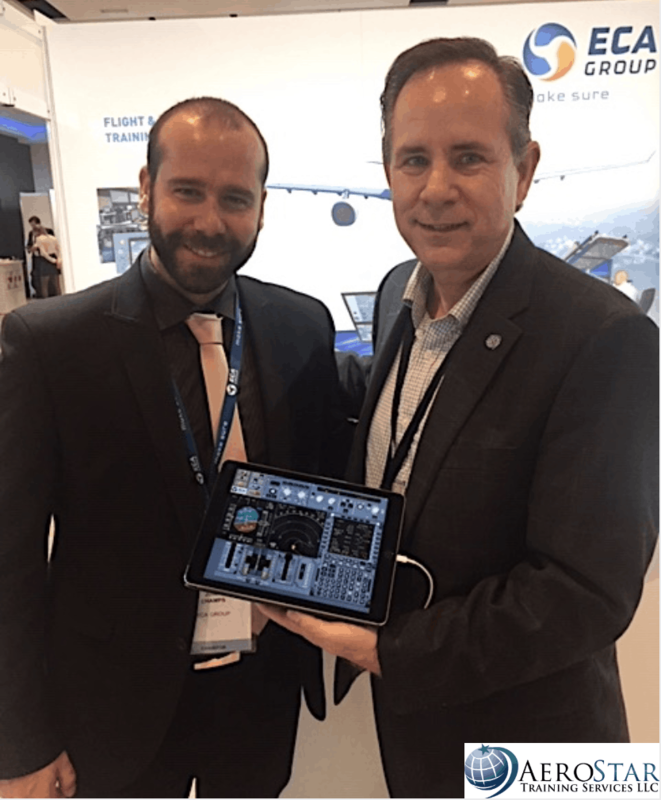 November 7, 2018 – AeroStar Training Services, LLC has finalized an agreement with ECA Group at this year’s EATS conference in Madrid, to bring iPad-based FMS free play training technology to our Airbus A-320 and Boeing B-737 type rating candidates. This is ECA Group’s solution to training centers’ need for FMS familiarization tools. It offers a free play and accurate simulation for a cost effective pricing, bringing a great added value before entering into simulator sessions. Pilots’ transition to complex flight management system is smoothly performed thanks to an easy-to-use interface and a complete set of available functions. Looking to expand on this mutually beneficial relationship, the two organizations are discussing plans to expand their agreement and provide AeroStar with their full-line of aviation simulation training products. Deidra Toye, AeroStar’s CEO said, “We are thrilled to be working with ECA Group to bring this amazing tool to AeroStar customers, enhancing their training experience quality”. 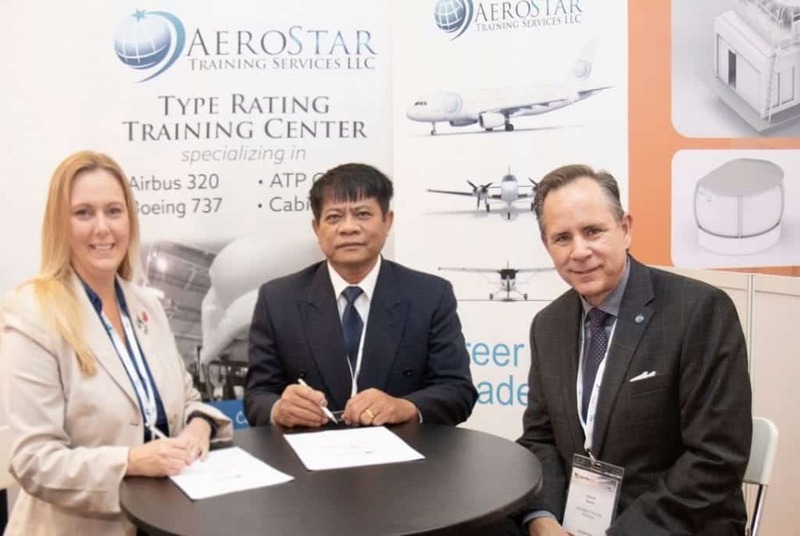 KISSIMMEE, Fla – AeroStar Training Services & Khmer Pilot Training Co. recently signed an agreement at the APATS conference in Singapore, for AeroStar to become Khmer’s preferred A320 Type Rating, ATP/CTP & MCC training provider. Khmer Pilot Training is a Cambodian collaboration of Khmer local pilots, aviation training experts, and American aviation training organizations, with a vision to create an opportunity for local students to become airline pilots for airlines operating in Cambodia. “We look forward to working together in this new partnership,” said Deidra Toye, CEO of AeroStar. 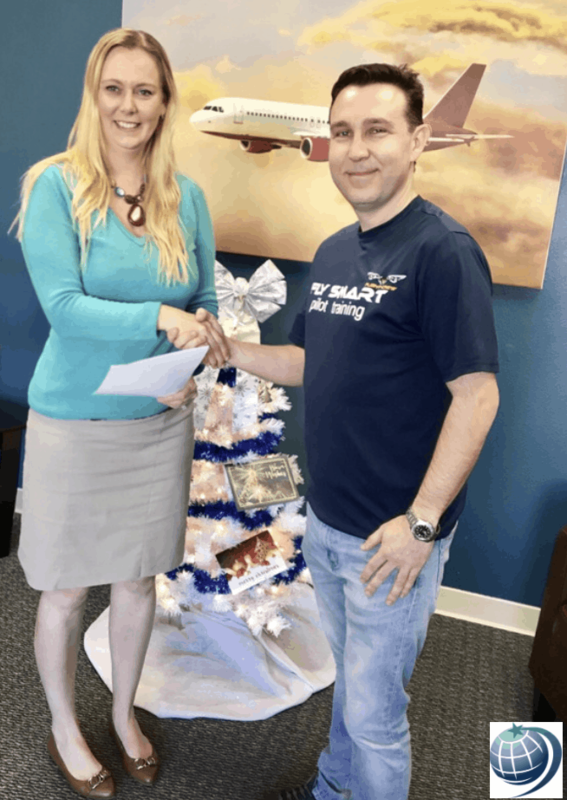 Last week AeroStar’s CEO, Deidra Toye signed an MOU with Felipe Sierra of Fly Smart Flight Training, a flight school located at the Kissimmee Airport. Fly Smart enables students to gain their initial pilot certificate and offers training through CFII. This partnership will help both companies cross promote unique training offerings to their students such as type ratings and foreign license conversions. AeroStar has been operating since 2008 in Orlando and is currently undergoing a major building expansion effort at the Kissimmee Gateway Airport. 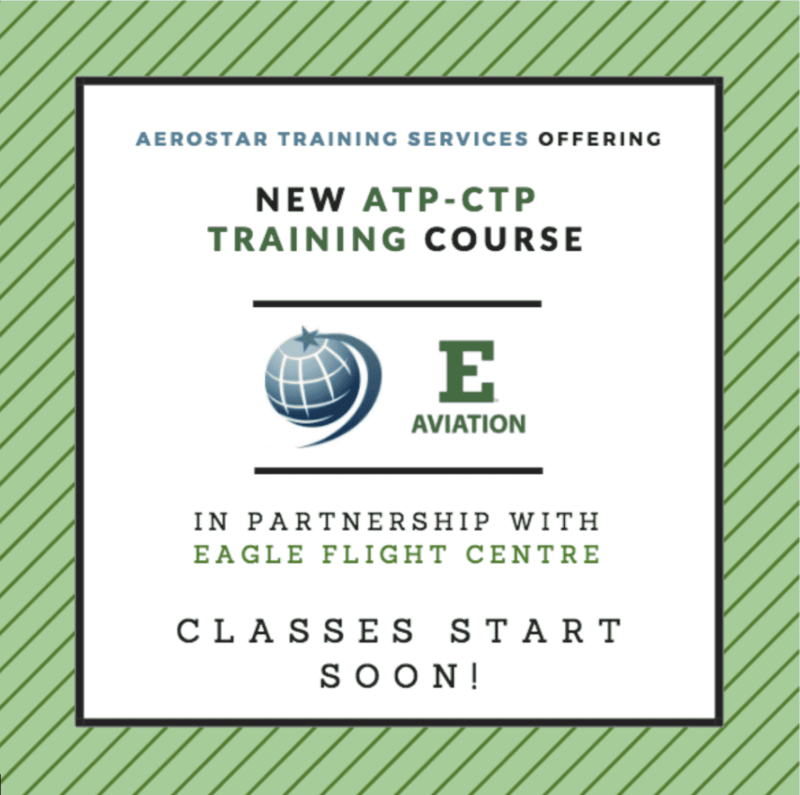 What: Eagle Flight Centre & AeroStar Training Services are offering a new joint ATP CTP class that will allow pilots to complete the ground school portion of their training locally. Who: Pilots wanting to acquire their ATP certificate. 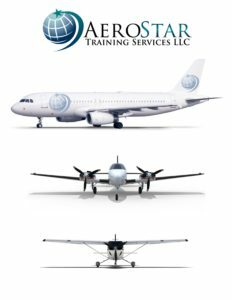 Successful completion of the ATP CTP course makes you eligible to take the ATP Multi-Engine (ATM) knowledge test, which you may take at any testing center. Where: Ground school will take place at Eagle Flight Centre in Michigan and simulator training will be held at AeroStar Training Service’s facilities in Florida. When: Classes are enrolling students now and will start next month pending minimum enrollment requirements. 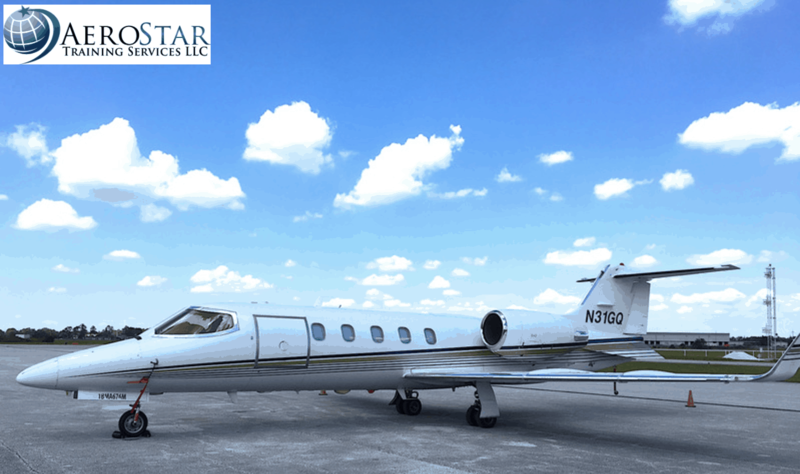 In a new partnership agreement, AeroStar will now offer charter services on a fleet of twin-engine Learjet31A aircrafts through AirBrock Charter Company at the Kissimmee Gateway Airport. Why travel commercial anymore when you can travel in your own private jet customized for your travel needs?! These jets can carry up to eight passengers and two crew members, reach speeds of Mach 0.81 and have an impressive long distance range of 1,300 miles. You will travel in comfort with beige leather seating, high gloss cherry veneer cabins, two executive writing tables, forward refreshment center, ice drawer, food tray drawer and beverage storage. AirBrock holds a reputation for providing the highest quality of private jet charter services in Orlando, Florida since 2008. AirBrock is also a gold rated ARGUS member and Wyvern member. 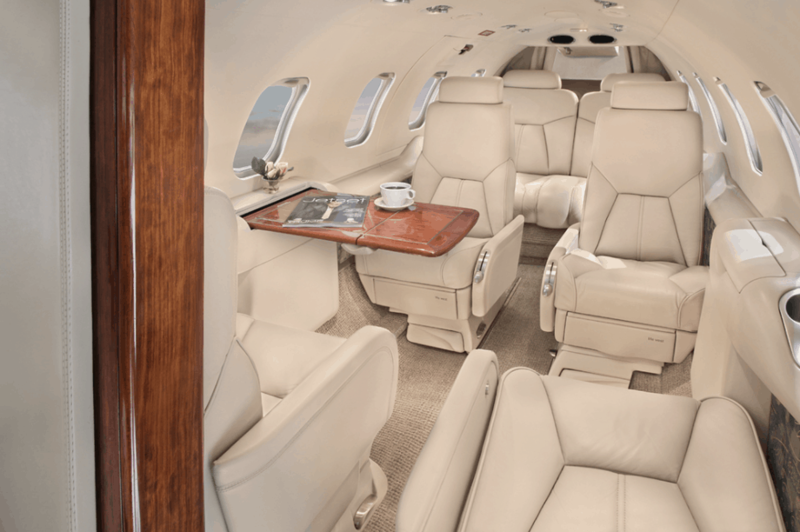 Do you have an upcoming need for a private charter for your company or for pleasure? Give us a call to book your exceptional charter flight today! Call (407) 888-9011. AeroStar Training Services has been awarded a contract to provide RwandAir, the flag carrier of Rwanda, with advanced flight training services for senior first officers with a purpose of obtaining FAA Airline Transport Pilot Licenses. “We are pleased to partner with RwandAir and look forward to building a successful relationship that will benefit both parties,” said Marina Van Esselstyn, Director of Admissions at AeroStar who is responsible for winning and overseeing the contract. AeroStar Training Services has expanded to offer a wide range of courses supporting both airlines and individual flight crew training, and provides many training solutions, which include type ratings on A320 and B737 aircraft, ATP-CTP course necessary to obtain FAA ATP license, Jet Transition, Multi-Crew Coordination, Ab-Initio pilot training, and Flight Attendant training. If you are interested in learning more about how AeroStar can assist in providing training support for your employees, please email info@aerostartyperatings.com or visit www.aerostartyperatings.com.